"I made my first film, aged 14, in 1935 and I have been at it ever since, striving to give my viewers a sense of "being there". There have been years of frustration on one level and the joys of achievement on another. The Feeling of Being There" is a riveting autobiographical epic spanning almost the entire history of cinema as seen through the eyes of one of its leading players. From "Canary Bananas", his first movie in 1935, to a musical production in post Soviet Siberia, Richard Leacock's memoir follows history through the eyes of a man who was present at so many key moments of the 20th century, among them, the battle for Burma, the Japanese surrender at Nanking, John F. Kennedy's primary campaign, the Kenyan leap towards independence, and the enrollment of the first African American students at the University of Alabama. But this isn't just a numbered and signed memoir. "The Feeling of Being There" will be both a bound paper book and a Digital Video Book (or DVB) viewable on computer. In the limited special edition, or "Collector's box," the numbered and signed hardcover book comes with an embedded video player containing close to 100 film clips which intertwine richly with the gripping storyline. 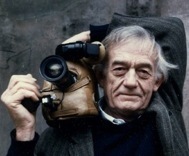 Leacock has worked in documentary since its inception. This book, with its many original photos and films, is a cornerstone in the legacy of cinema. Given the author's place in this legacy, the "Collector's Box" can only appreciate in value. 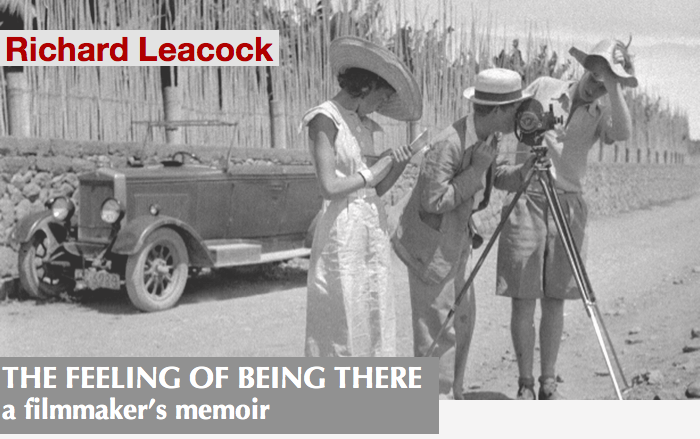 Richard Leacock, The Feeling of Being There, a Filmmaker's Memoir, Semeïon Editions, 2011.